This is not a typical vampire story. It is full of new twists, new takes on supernatural beings and an interesting storyline. Vampires, angels, dark angels, witches, warlocks and let’s not forget, a baby! Love all those! The author wove these characters together beautifully. It starts with Alex, a telepathic vampire who believes himself cursed but has a strong faith in God. Cliché I know. He asks for something to live for in his damned existence and ever haunting past. He is given the baby Jaiden, a baby abandoned like trash, to care for and protect at all costs. 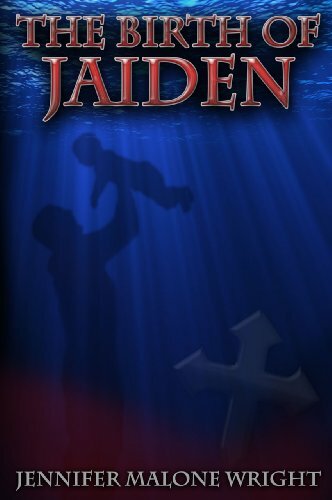 Jaiden is important to the future and is a powerful witch but needs him for love and safety. Who better than Alex? Along with Isabella, Jaiden’s nanny (also a powerful witch) and the help of the other members of the Great Council charged with keeping the balance of powers on earth, they fight Malcom and Levine, conniving and evil vampires bent on using Jaiden for their own advantages. The story was interesting, a bit drawn out in the first half with introductions to the characters and tangent story lines that seemed unneeded, like Isabella’s tragic family. The chorus of characters seemed quite interesting but their roles did not seem important until later. 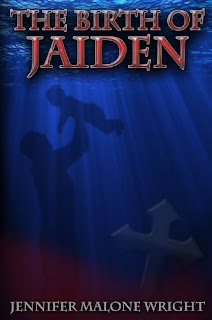 Alex’s struggle to accept his responsibility for Jaiden, his constant distaste of his own existence and his immediate attraction to Isabella took a large portion of the first half. All which cause him great conflict along with the ghosts of his past constantly haunting him. The second half more than hooked me right back in. The action, suspense and blood pounding fight scenes were enough to keep me on the edge of my seat. Definitely a must read with an ending that keeps you wanting more. My type of read. Highly recommended!